Be a star at the next college football tailgate with honey infused vodka. You will feel like far less of a degenerate if your 8:30am booze tastes like Honey Nut Cheerios, and trust me that's what honey infused vodka tastes like. Breakfast of champions! The primary benefit of infusing vodka is so that you can experiment with making fun flavors of booze without all of the hoop jumping of opening your own distillery. And believe me, I’ve done all the research (2 mins on the Google) and it’s an arduous chore. Licenses, labeling, liability, registrations, taxes, you name it - opening a distillery just isn’t worth it. So, that is where infusing your own vodka comes into play. You can experiment with various sweet fruit like pineapple or pear, or, use candy like Skittles or melting down Gummy Bears to make your own “boutique spirits” and cocktails. And, you can do so without signing over your life to the man (ATF). 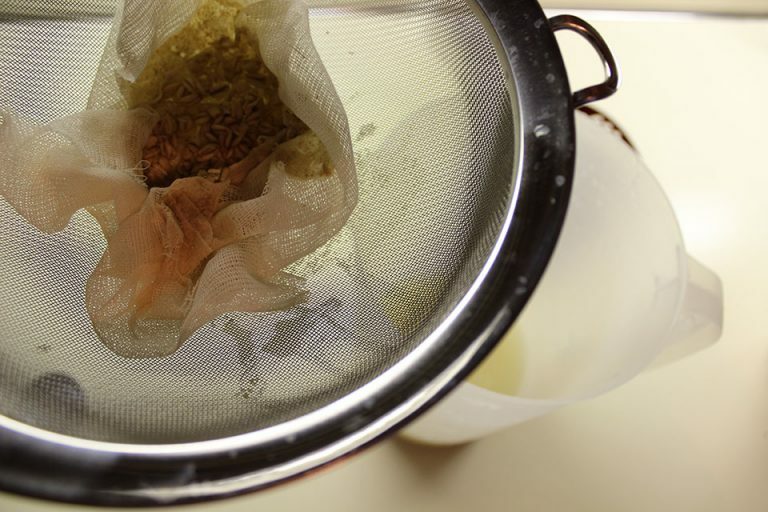 For this experiment, we are going to infuse honey and oats into some cheap, store-bought vodka (the best kind of vodka!). Here is what you will need. Note: you could buy a vodka infuser, but it seems like a waste of money. For one, there is a ridiculous amount of flavored vodka on the market. Two, it’s much more fun to do it yourself. Honey from plastic bears is the only honey! Because you are adding your own flavor to it. You don’t need the smoothest vodka that money can buy to get a great result with this recipe. So forget the Grey Goose and forgo the Ciroc. Plus, you don’t need to further pad Diddy’s wallet. Selecting a more expensive vodka might be a waste of money. But if you feel so compelled, try the Bully Boy or the Triple 8. The Cisco Brewery tour is a delight. 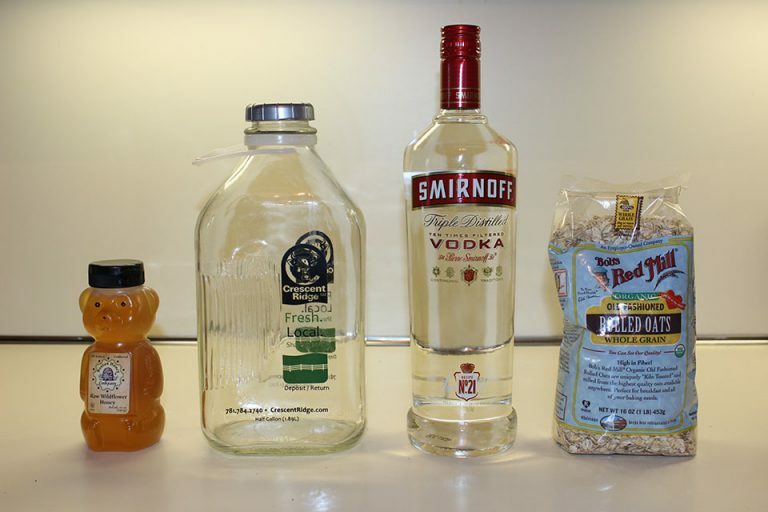 For starters, you only need two pieces of equipment to make your infused honey oat vodka: a sealable container and a something to strain the mixture with. I used a half gallon milk jug, but you could just as easily use an equal sized mason jar. 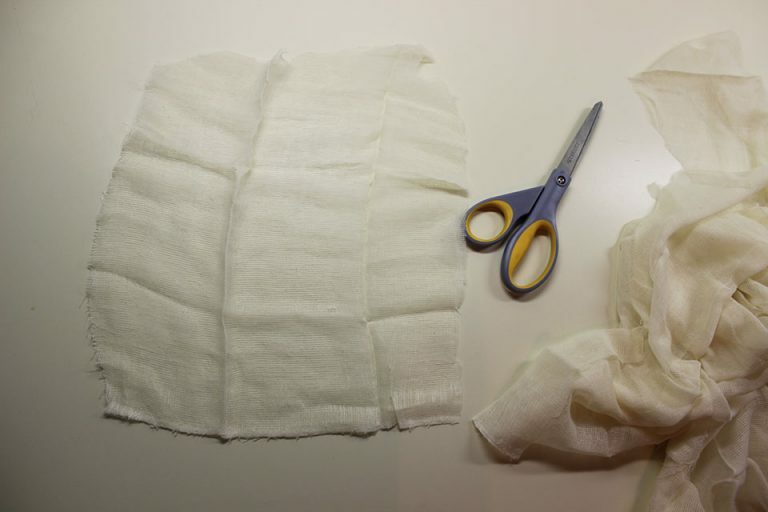 As for straining, I prefer to use a metal strainer before employing some cheesecloth, it really helps reduce the amount of cheesecloth you will need. 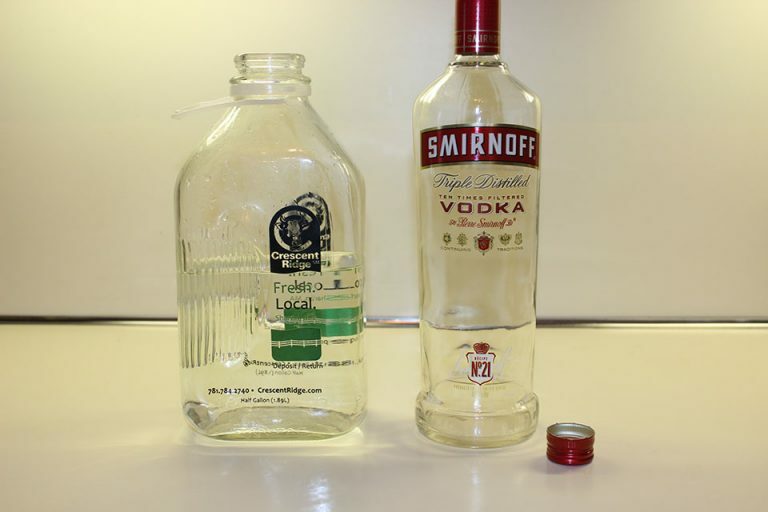 Now, to make the homemade honey infused vodka, start by pouring your liter of college grade spirits, I chose Smirnoff, into your mason jar, milk jug, red snowblower gas can, etc. and then add your (preferably organic?) rolled oats. Seal the container and shake it up vigorously. 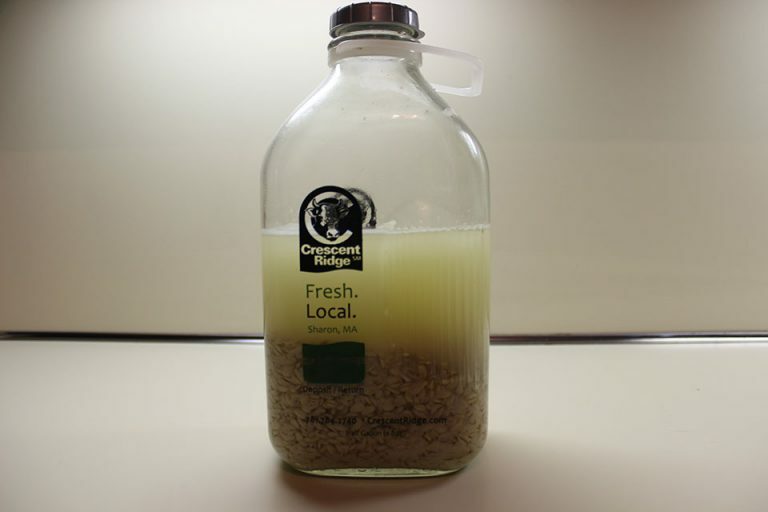 You will want to repeat this process a couple of times a day over the next four to five days as you let the oats infuse, creating your flavored vodka. It should start to look a bit cloudy like the picture below. Note: If you have young children, be careful what kind of container you infuse the vodka in. When the oats are done infusing their flavor into the vodka, it’s time to strain the mixture. This is where the metal strainer will come in handy as well as the cheesecloth. Use them to separate out all of the solids from the liquid. One to two times should do the trick. The longer you left the oats in, the more times you should strain, let’s call it three to five times. After you have strained the mixture, it is time to add the sweetener. 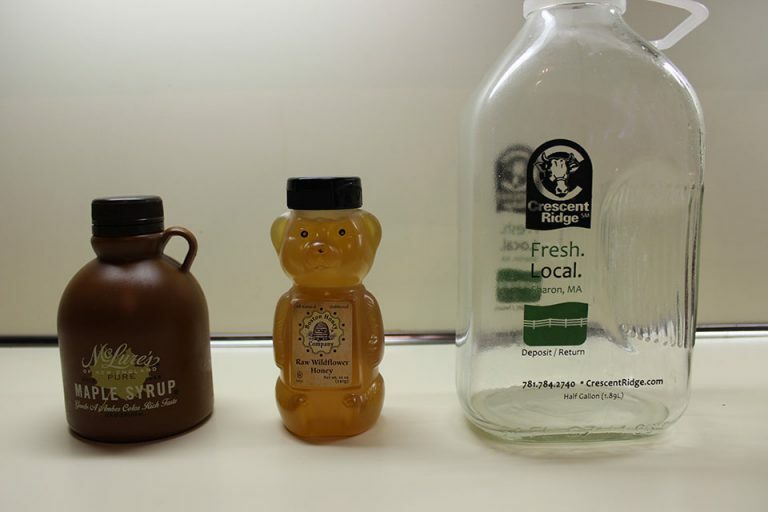 In my experiment, I used a half-bear (technical measurement) of local, Massachusetts honey. You can use maple syrup or pure agave if you like. I prefer syrup. Maple syrup or honey, either is a good choice. While this is about infusing vodka with honey, if you want to keep the drink vegan-friendly, opt for the syrup. Since I lack patience, I skipped right to using my Vitamix instead of shaking the mixture by hand. The bubbles were a delight to watch. Congrats. It’s now time to enjoy your homemade honey infused vodka. If you want, you can serve the drink after the mix settles. Or, feel free to chill it first. If it’s the holiday season, feel free to sprinkle in some nutmeg or cinnamon, or some allspice if you are really feeling it. 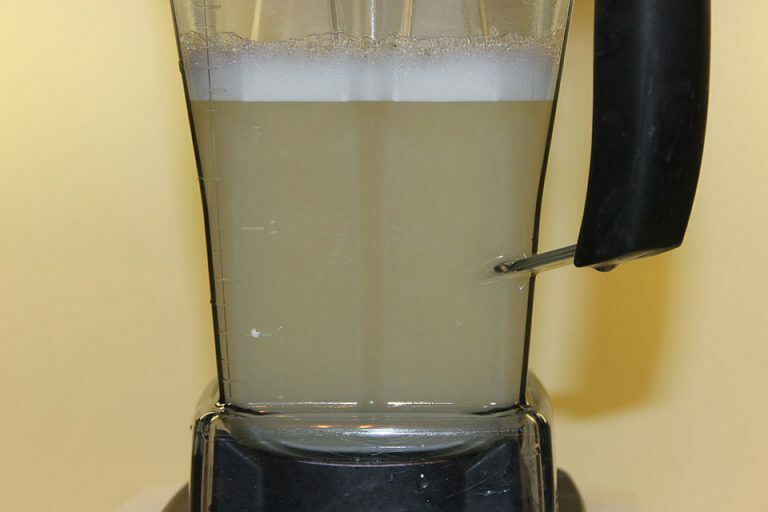 And if you get tired of the infusing vodka with honey, oats, pineapple, or whatever, grab a two buck chuck that you have lying around and hyperdecant it (aerate it in a blender).